Tested pulled from 2011 27" iMac. Should fit 2009-2011. Condition: Pre-owned. Tested and in full working condition. For Apple iMac 27" A1312 Mid 2011. Product detailswhat is pictured is what you get. Adp310af pa-2311-02a pa-2311-02a bcompatible model no mb952ll/a, mb953ll/a, mc510ll/a, mc511ll/a, mc813ll/a, mc814ll/a. Compatible Model: Apple iMac 27" A1312 Mid 2011. iMac 27" A1312. iMac12,2 Mid 2011: MC813LL/A (2.7 GHz Core i5). iMac12,2 Mid 2011: MC814LL/A (3.1 GHz Core i5). iMac12,2 Mid 2011: MD063LL/A (3.4 GHz Core i7). Condition is Used. Pulled from a working computer. Compatibility: Apple. Condition: Lightly used / Fully TESTED and working. No other software or accessories included. Photos are of an actual unit and represent the lot. Each unit is in similar stated condition. We are more than willing to work with you to resolve any issues. Power supplies have been cleaned and tested, they are in great shape. Location: Lawford - WATER - G. No exceptions. We have a limited knowledge of their prior use. We are sorry for any inconvenience this may cause. Pulled from working imac. Condition is Used. 614-0501 ADP-310AF B. HOURS OF OPERATION Tested - good - pulled from working unit. I removed this from my iMac a few years ago and kept it as a spare. 2009 iMac 27" A1312. 2010 iMac 27" A1312. 2011iMac 27" A1312. Input: 100V - 240V. Manufacture: Delta. 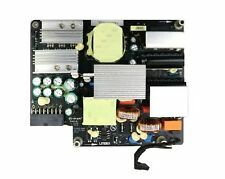 This sale is for a fully tested, fully functioning Apple iMac 27" A1312 310 watt Power Supply 661-5310 614-0476 614-0447 ADP-310AF it will be delivered as pictured. If you have any questions, or require additional information please feel free to contact us through eBays ask seller a question panel. .
IMac 27" A1419. iMac13,2 Late 2012: MD095LL/A (2.9 GHz Core i5). iMac13,2 Late 2012: MD096LL/A (3.2 GHz Core i5). iMac13,2 Late 2012: MD096LL/A (3.4 GHz Core i7). ADD TO FAVS. So my loss if your gain. Board number: 614-0476. The existing power was fine and tests OK.
IMac 27" A1312. iMac11,3 Mid 2010: MC510LL/A (3.2 GHz Core i3). iMac11,3 Mid 2010: MC511LL/A (2.8 GHz Core i5). iMac11,3 Mid 2010: MC511LL/A (3.6 GHz Core i5). iMac11,3 Mid 2010: MC511LL/A (2.93 GHz Core i7). It is used and does show signs of wear. Add to Favorites. Item Condition Used. 2012-2014 iMac 27" A1419. iMac13,2 Late 2012: MD095LL/A (2.9 GHz Core i5). iMac13,2 Late 2012: MD096LL/A (3.2 GHz Core i5). iMac13,2 Late 2012: MD096LL/A (3.4 GHz Core i7). Output: 12V 25A 300W. Max Output Power. It's made to last and it's truly the largest difference between the stuff you "can get" and the stuff you must have to change the way you compute. We'll be happy to assist! Software/Data Recovery is not covered under Warranty. This unit is in great physical and working condition. IMac 27" A1312. iMac12,2 Mid 2011: MC813LL/A (2.7 GHz Core i5). iMac12,2 Mid 2011: MC814LL/A (3.1 GHz Core i5). iMac12,2 Mid 2011: MD063LL/A (3.4 GHz Core i7). iMac11,3 Mid 2010: MC510LL/A (3.2 GHz Core i3). Compatible Model Numbers: (A1312) - Mid 2010. No one is EVER ignored! ALL PRODUCTS ARE MARKED WITH SERIAL NUMBER AND QC BADGE. Yahirs Computer Parts & Repairs. It was removed from a late 2012 27" iMac. No exceptions. We have a limited knowledge of their prior use. Location: Lawford - PROMISE - G. We are sorry for any inconvenience this may cause. We do not reset passwords. SEE PICTURES. In good working condition. This was pulled from a Late 2013 27” iMac. If your 27-inch iMac is not powering up, it could be a power supply issue. Get your iMac up to speed with an iMac 27 power supply. There are many affordable iMac 27 power supplies available on eBay. Which iMac 27 power supply works with your computer? A1419 - This A1419 is the power supply unit for late-2012 through mid-2017 iMac computers with 27-inch screens. A1312 - The A1312 internal power supply is compatible with 27-inch iMacs made in 2009, 2010, and 2011. What is the difference between the A1419 and A1312 supplies? The A1419 and A1312 power supplies work on different models of your iMac based on the year it was manufactured. They have a few differences that make them non-interchangeable. The A1312 works with iMac Intel 27 EMC No. 2309, 2374, 2390, or 2429 and uses 310W. The original part number is 661-5972. The A1419 works with iMac Intel 27 EMC No. 2546 and operates with 300W. The original part number is 661-7886. You can find new, manufacturer refurbished, and other refurbished A1419 and A1312 power supplies on eBay. Should you use original parts when replacing the power supply? You can find genuine Apple iMac 27 power supplies and unbranded Apple iMac 27 power supplies on eBay. Since the power supply itself may not have a "brand" listed, you may still be purchasing original parts whether you buy branded or unbranded parts. The important thing is to make sure the iMac power supply fits the year and model of your 27-inch iMac. 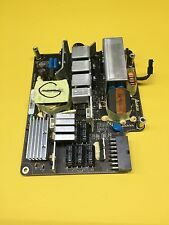 Can you find used iMac 27 power supplies for purchase? Yes. There are used and new iMac 27 power supplies available. Some power supplies are in working condition. Some supplies are sold in non-working order for parts only. There are also many refurbished or re-manufactured parts available. These should be in good working condition and may be advertised as tested. Check the listing carefully to determine the condition of the iMac 27 power supply before making a decision.